It is estimated that nearly 55% of all Americans suffer from allergies[i]. 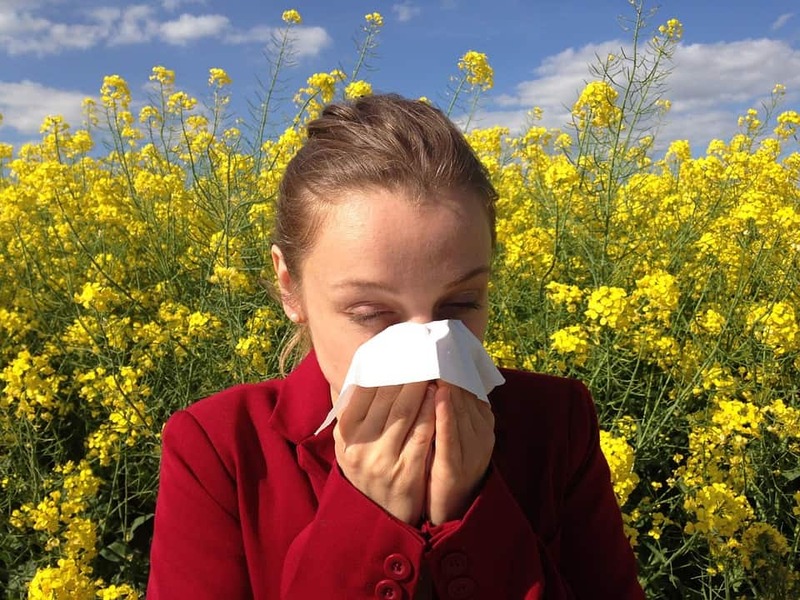 Most of these are severe seasonal allergies like allergy to pollen, dander or dust. But allergies also include food allergies or year-round allergies like pet, mold, pollution etc. Let us take a look at ways to reduce seasonal allergies as well as food and environmental allergens. Use a room filter. Clean out the vents of your HEPA filter. Dust and clean out your home every day. Wipe all surfaces with wet cloth. Check pollen count daily before venturing out. Bathe after coming home. Shampoo your hair to minimize pollen, dust and dander. Eat local honey. This will help build immunity against pollen. Avoid using swamp cooler as it invites more pollen into the house. Know your plants. Keep only those plants that do not produce colorful flowers. Shut all windows. Even when inside the car, avoid opening the windows. Run an air conditioner both inside the home and your car to get rid of seasonal allergies. Use a neti pot to rinse out the sinuses. Add some hydrogen peroxide to warm water and use the mixture to rinse out the sinuses. Consume at least one gallon of water every day. This will flush out toxins from the body. It is one of the best remedies to fight allergies naturally. This remedy is beneficial for seasonal allergies and, to some extent, for food allergies as well. Training daily helps boost your body’s self healing capacity. This has been proven by research[iii]. Go for moderate activity like cycling, sprinting etc. These activities improve resistance to bacteria and viruses. Never overdo exercise as it can actually weaken your immune system. Some of the common food allergens include dairy, caffeine, eggs, wheat, acidic foods, nuts, red meat, and seafood. Avoid these foods completely or at least limit your intake. You can go for alternatives like almond milk instead of dairy or spelt/buckwheat instead of wheat, meat-alternatives like soya etc. Speak to an allergy specialist about the right diet for you. Watch out for those harmful chemical additives like sodium benzoate, sodium glutamate and tartrazine etc. These can cause allergy in blood followed by symptoms like eczema, gastric disturbances etc. Avoid these chemicals as far as possible. Eat organic, preservative free foods. Vitamin C-1000 mg per day is needed to build natural defense against diseases. Reduce your intake if the supplement causes diarrhea or loose stools. Zinc- Many allergy sufferers are deficient in this crucial mineral. The National Institute for Health recommends[iv] at least 40mg daily for adults. Bromelain-250 mg or more can help reduce allergy symptoms like runny nose, watery eyes and so on. Nettle tincture- Many people swear by nettle for eradicating allergies permanently. 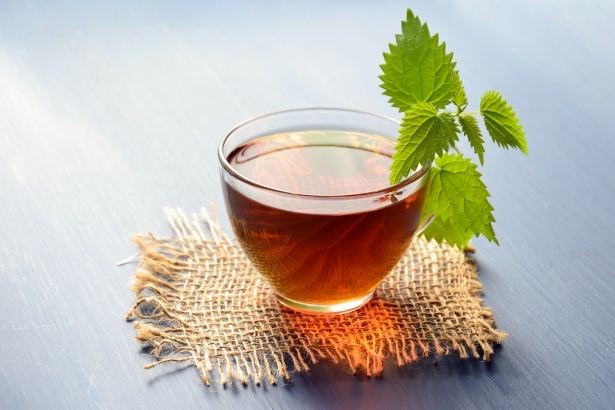 As per Better Nutrition, you can take up to 3000 mg of nettle leaf capsules per day to ward off runny nose, watery eyes and other allergy symptoms etc. Chamomile- This herb is relaxing and soothing. Drink chamomile tea at bedtime to help you sleep better during seasonal allergy attack. Turmeric- Mary Vance, certified nutritionist counselor recommends drinking Golden milk made using coconut milk, (or almond milk) and 1 tsp of organic turmeric powder. You can sweeten this drink with some organic, local honey. Add spices like nutmeg and cinnamon powder to enhance the flavor. Many allergy sufferers have benefitted from the use of organic apple cider vinegar. This remedy fights inflammation, strengthens defenses and reduces the severity of seasonal allergy attacks. Regular intake of apple cider vinegar can also help combat allergies permanently[v]. Make sure you dilute the vinegar before drinking. Oil pulling includes swishing and swirling of oil around the mouth for around 20 minutes. This practice removes toxins[vi] from the mouth and lymphatic system. It also encourages the sinuses to drain. If you suffer from recurrent sinus infections and chronic allergies, pull oil two-three times a week. Use organic, cold pressed coconut oil or olive oil. You can pull oil anytime of the day, but first thing in the morning works best. Probiotic foods like raw milk kefir can help increase[vii] the good bacteria in the gut. This can help eliminate harmful bacteria and prevent allergies from worsening. According to the National Center for Homeopathy, many homeopathic remedies can eliminate allergic rhinitis, sinusitis infections and other chronic allergy symptoms. Your homeopath will take a detailed medical history before s/he can prescribe the best remedies for allergy. Recent research[viii] shows that environmental toxins tend to increase asthma and other allergic reactions. Therefore, it makes sense to detoxify the body from time to time. Detoxification can be done in numerous ways. Check out my article on ways to detox. The best oils to combat allergies are lavender, chamomile, eucalyptus and peppermint. 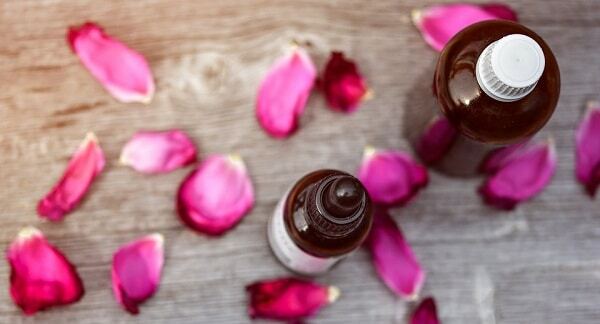 Never ingest these oils as they are highly concentrated and can cause severe allergic reaction. Always test the oil on the skin to ensure you are not sensitive to it.